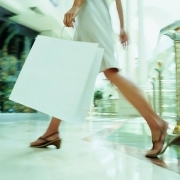 The retail sector has seen considerable change in this uncertain economy. Highly informed and more demanding customers are challenging retailers to consider new ways of tapping into their data to answer the “crunchy questions” that can hold the key to improving performance. As the questions become more complicated to answer, retailers require in-depth insights to effectively manage and forecast future performance. Who are the next 1,000 customers we will lose — and why? Which suppliers are most at risk of going out of business? Which customers are our biggest influencers? Will our workforce profile match our needs in two years? How will demographic shifts affect our market share? Which high-performing associates are we at risk of losing? Advanced analytics represent a portfolio of tools, techniques, and organizational capabilities that can be applied to specific decisions across a wide range of business concerns. This article highlights six key areas where retailers can apply analytics to drive value for their stakeholders. In days gone by, a shopper’s experience began by crossing the threshold of a store and ended with the sliding slam of the till. But today’s consumer begins shopping well before setting foot in a store, if ever. And with smart phones, tablets and social media, the retail experience continues long after the transaction is complete. Tomorrow’s retailers need to provide their customers with new ways to interact and shop, while at the same time meeting the perennial challenges of the business: winning consumers while driving down costs. Here are some links to sites that we link to mainly because we assume they’re really worth visiting.